It was good mostly..but the kitchen cooking utensils and coffee maker ect..need up grading ..they were not in good shape at all. It was beneficial to have a washer and dryer as well as kitchen with cook ware and a refrigerator. The stuff is very helpful and accommodating. The apartment was very good and comfortable. Well equipped kitchen if you want to cook. The location is good and close to town. Our unit faced the pool, It was so bright and a nice breeze would blow through. Nice amenities. We stayed here for one night before the rest of my extended family arrived to stay at a bigger resort. Staff was incredibly courteous and gave us a nice extended check-out so we were not stranded between hotels. Super appreciative. Rooms were nice. Good AC. Good showers. Nice little efficiency. This was the perfect getaway condo. I was worried that it wasn't a beachfront property but I assure you it is just a few steps to the beach. There was even an instance that I had to go back to the condo barefoot which is something I rarely do. The beach is the most calming and beautiful beach I've been to and I've been to quite a few in the Caribbean. Usually I am a little cautious about leaving my things on the beach chairs while I'm in the ocean but this was not the case at this location. We all left our stuff for hours, we felt completely safe. Oh and there is a man-made reef which is super cool. There's also an excellent restaurant across the street called Coconut Joe's. Tania was our server and she was super friendly, food was ahhh-mazing but I can yelp about that later... All in all, we are very pleasantly surprised at how well we were treated and what an incredible experience this trip was. I would definitely stay here again. The walk to the beach is quick. The lodging is quiet for the ost part. The staff was especially friendly. Having a kitchen and grill helped us save a little money since food here is very expensive. Lock in a great price for Seven Mile Beach Resort – rated 8.2 by recent guests! Seven Mile Beach Resort This rating is a reflection of how the property compares to the industry standard when it comes to price, facilities and services available. It's based on a self-evaluation by the property. Use this rating to help choose your stay! Offering an outdoor pool, Seven Mile Beach Resort features tropical-style apartments located right on the beach in Driftwood Village. It features an outdoor hot tub, plus free WiFi and on-site parking. Each apartment here is air-conditioned and includes a fully equipped kitchen with a fridge, oven, stove and dishwasher. Guests also enjoy a seating area and a cable TV with a DVD player. At Seven Mile Beach Resort you will find a garden and a shared terrace, while the tour desk can arrange activities like snorkeling and water sports. Britannia Golf Course is a 7-minute drive from the property, while Georgetown City Center, which features restaurants, bars and shops, is less than 2.5 mi away. Owen Roberts International Airport is a 10-minute drive from the property. When would you like to stay at Seven Mile Beach Resort? This two bedroom, two bathroom condo features a fully equipped kitchen, and a washer and dryer. 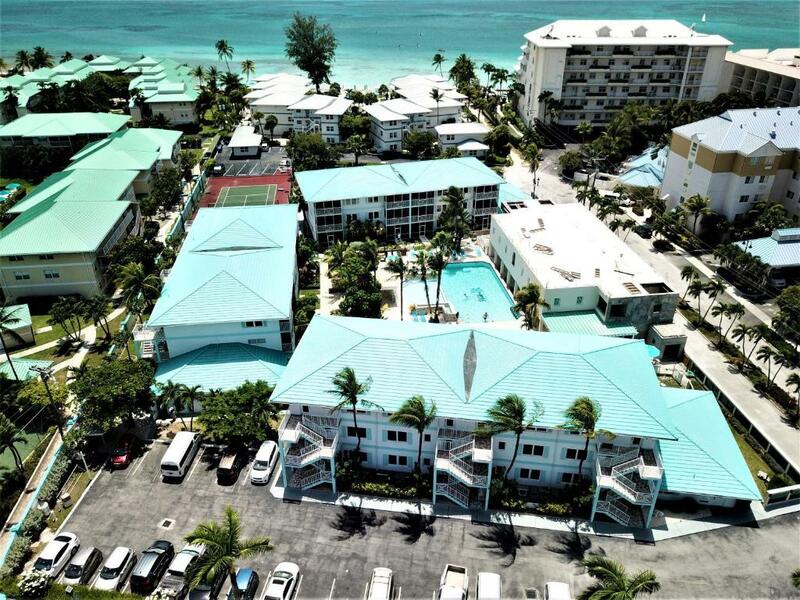 We are located in the heart of famous 7Mile Beach. Close to restaurants,bar and shopping centers. Two minute walk to the beach. It is a two bedroom two bathroom condo with outside pool, hot tub jacuzzi and two barbecue facilities. All units are the same and comes with a fully equipped kitchen. Washer and dryer inside the unit. House Rules Seven Mile Beach Resort takes special requests – add in the next step! Seven Mile Beach Resort accepts these cards and reserves the right to temporarily hold an amount prior to arrival. Please Note: The property pool will remain closed until October 8,2018. Please inform Seven Mile Beach Resort of your expected arrival time in advance. You can use the Special Requests box when booking, or contact the property directly using the contact details in your confirmation. Please note that check-in and key collection take place at: Seven Mile Beach Resort Unit#2 - Angelica De Guzman, Georgetown KY-1203. Kitchen cooking utensils coffee maker and hardly any pans. Construction noise almost everyday that reverberates through the pool/patio area and Roosters that howl well before sunrise (3:32 AM and 4:30 AM when sunrise wasn’t until after 6:30 AM). The floor tiles and bathroom counters and place in general was not as clean as I would expect for the cost. The walls are thin and with little soundproofing so I could hear people walking above me and a baby crying below me after to roosters apparently woke the baby and by the time that quieted down the construction noise would start. Difficult to rest and feel rejuvenated when quality sleep deprivation was a consistent factor. Not sure I would return. The construction going on was a little bit concerning but it didn't really impact us that much. would have been nice to know this ahead of time. The TV signal was more of an issue as it kept cutting in and out. great location within walking distance to pretty much anything you needed. great place to just chill or to be a home base for adventures. some construction going on, but it didn't impact us too much. Construction is ongoing and that creates a bit of noise during the day. Did not bother us much but I can see how it would. Once new building is finished, it would be great. 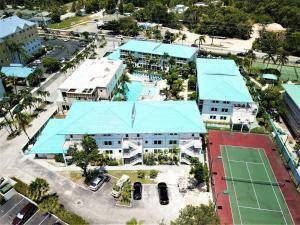 Nicely located, 2min walk to beautiful 7 mile beach. Condo big enough for family of 6 to fit in comfortably for a price of a regular hotel room. Kitchen was a plus and allowed for easy breakfast and snacks. Front desk helped to arrange tours and things. The mattress was very hard. The facility was clean and neat. Rooms need updating badly. Very 70 s. Jacuzzi needs jets. Size of room was nice. This property is not on beach as pictured and advertised- this is misleading. The unit location was not very good with the noise outside preventing us from siting in the patio. Also being a beach resort it would be nice to provide clothes drying ruck to dry clothes after swimming. The beds in both rooms were very hard. Only recommendation would be to change the beds to a medium hardness/softness. felt like you were sleeping on the tile floor. Pool area has some construction around it that's a bit of an attractive nuisance if you are not watching your children. Beach is right there but little beach to relax on right near the place. You need to go further north, but really no big deal. You get what you pay for. Coral used in constructing the pool waterfalls is a bit sharp. Use caution. There wasn’t any sand on the beach right behind the resort, we needed to walk a few blocks and access the beach to walk. Construction distracting and beach was non-existent.